After visiting the Royal Academy Degas show (which will be the subject of a later post), we went for a brilliant lunch at Cecconi’s to sustain us for the busy day ahead. 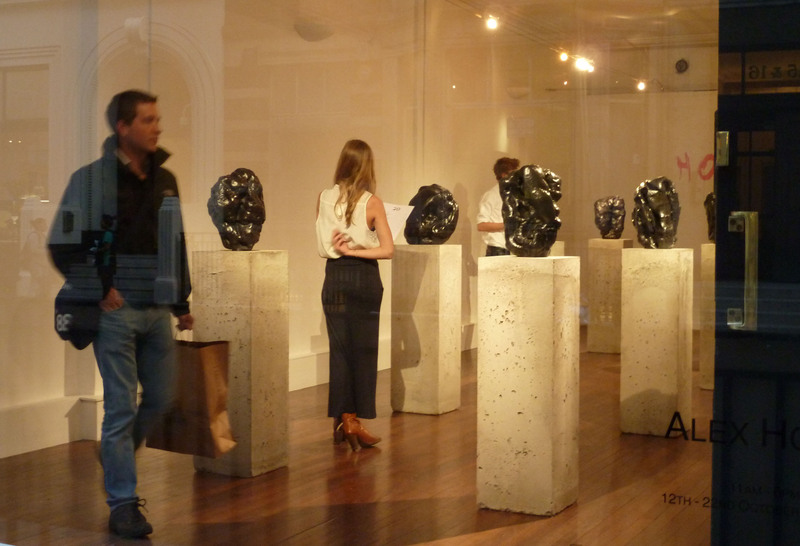 With openings and art parties all across London, I wanted to see as much as possible and, although, I didn’t make it to everywhere on my to-see list, I did pretty well. We began at Selfridges’ Museum of Everything. Launched by art collector, James Brett, in 2009, this is the 4th incarnation of this Outsider Art charity installation. This weird exhibition has taken over all the store windows (which are completely product-free for the first time ever) and a space on the lower ground floor, normally the Ultralounge, and now unrecognisable. The Museum of Everything #4 at Selfridges. Own photograph. 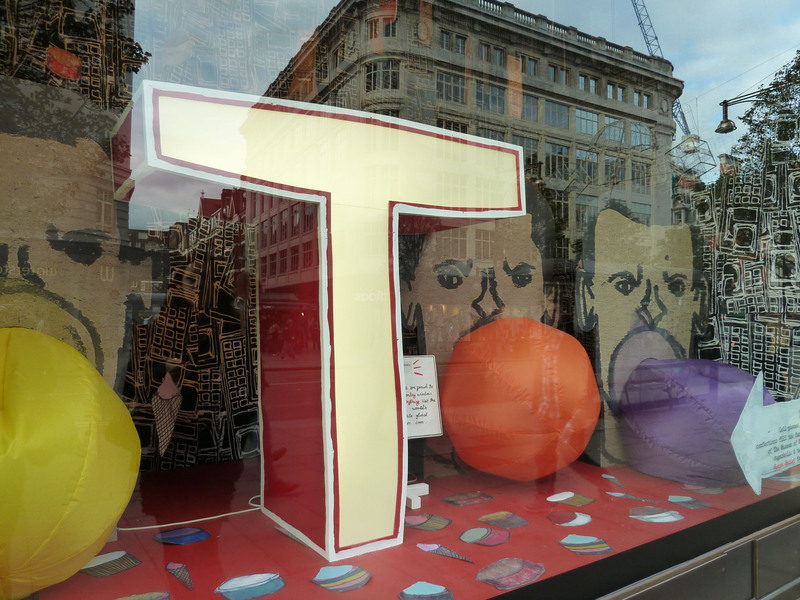 Although I love the idea, and I’m pleased that Selfridges are embracing charity exhibition opportunities and exposing unknown artists, the art isn’t great. In parts, it’s downright creepy and I wish they’d used this opportunity to unearth some real talent. With over 400 works on display, nothing really struck me in a positive way. I love the concept of the Museum of Everything and believe it has great potential which I hope they will better fulfil in their next exhibition. On to 20 Projects at 64 Margaret Street, who are showing a series of new sculptures by Alex Hoda based on small pieces of nicotine gum – chewed, used and spat out by the artist. Installation hadn’t really finished when we arrived at 6pm and they were still stencilling the title onto the wall, strangely oblivious of the fact that they had guests. Hoda’s works reminded me of Alina Szapoznikow’s chewing gum photographs that we exhibited in The Courtauld’s East Wing Collection VIII which concentrated on temporality and the act of leaving some form of mark, making something that is intrinsically rubbish into a work of art. Obviously both artists are approaching their work from different angles, but the choice of subject is interesting. Hoda uses a special machine to scan and then enlarge the bits of gum to ensure 100% accuracy when making the pieces in bronze. For him, the sculptures also represent the human form responding to Jean Fautrier’s Hostage series of the 1940s. The sculptures are beautiful but somehow the chewing gum detracts from this for me. Alex Hoda’s Hostage at 20 Projects. Own photograph. Moving on, we headed to the Josh Lilley Gallery who are showing Incredulous Zealots – works by four artists from Los Angeles. Regular readers will know this is one of my favourite spaces in London (and the secret is out after an article in last weekend’s newspapers) – this is another brilliant show which presents the next generation of LA art and shows that the talent there is certainly not diminishing. The works of two artists immediately grabbed my attention. One of the girls in my group was so entranced by Annie Lapin’s work that we almost had to drag her away to a different part of the gallery. Lapin is now exploring the abstract image, using colour and shapes that recall primitive art forms. Her palette is luminous, using browns, creams, Courbet green, small doses of deep reds and sky blues. 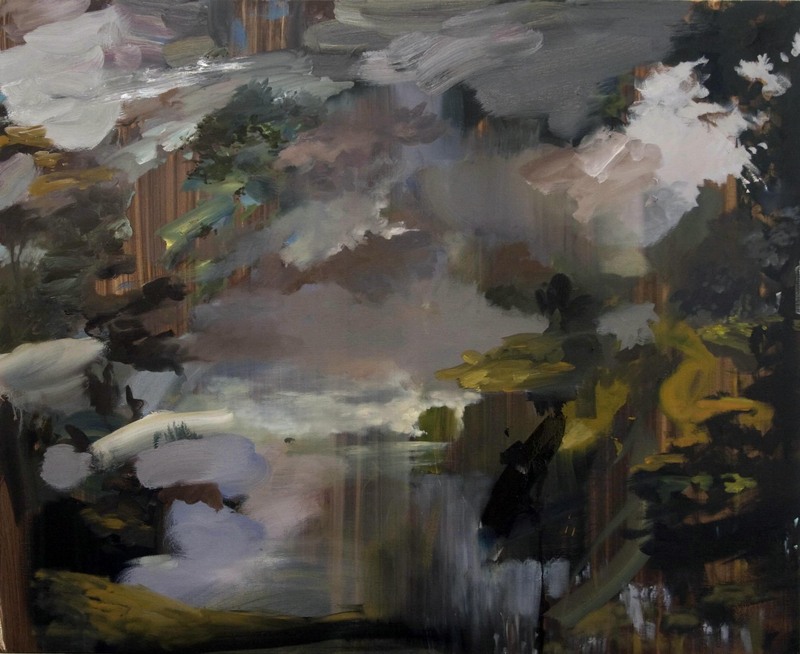 Lapin’s paintings harness monumental experiences, drawing the viewer closer into her work, looking at the depth of layers, like a coloured fog over a hidden scene. Annie Lapin. Image via www.joshlilleygallery.com. Analia Saban, one of the other LA artists, burns, cuts and destroys her paintings, almost to the point of annihilation before pulling them back to a supreme delicacy. This destruction of an art form shows Saban’s desire to stand alone and take complete control of her practice, resulting in a re-assessment of the history of painting through a minimal, but beautiful, object. Incredulous Zealots at Josh Lilley Gallery with Analia Saban work in the distance. Own photograph. The gallery has been transformed to a more traditional, white contemporary exhibition space, allowing the individual works room to breathe and to be examined in a contemplative space. Incredulous Zealots seeks to draw on the passion of Los Angeles painters who demand that painting be taken to a new level, persisting with, torturing, and ultimately loving, their chosen art forms. I was also lucky enough to be able to take a peek at a new Nick Goss work, unusually (for him) painted on board. Although his act of mark-making continues in the same mould, the painting is in a wholly new style, evoking a completely different feel to his usual works. Brilliant! Our feet were already starting to feel sore and, with more galleries still to go, it was taxi time. Have you ever tried to get a taxi in London, in art week, at about 7pm? It’s impossible. Finally, we saw one and hailed it, only to have it nabbed, from under our noses, by a ‘taxi thief’. After my fairly loud comments of shock and belligerence, the driver decided to take pity on us four girls and, much to his surprise, the ‘taxi thief’ found himself moving over, sharing his cab and also letting us use the internet on his iphone (Blackberries still being dead, of course). So, chivalry is not dead after all. I have no doubt he was amused by the giggling and gossiping but he made our lives a lot easier and, we are grateful for his generosity. Thank you, ‘taxi thief’. Having been dropped at Dering Street, where we briefly, coincidentally coincided with ‘the boys’, we went to Blain Southern to see Rachel Howard’s Folie à Deux. The title is the clinical definition for a shared psychosis, where two or more people enter into a delusional belief induced by an intimate relationship. Howard’s works play on the minds of people who have wandered far from reality and reason. Technically, the works are very good – making use of media, including household gloss paint, oil, acrylic and varnish, Howard doesn’t overplay it. Her paintings are strong and striking but seem to be more subtle variations on her normal work, exploring the intricacies of the human condition. Rachel Howard’s Folie à Deux at Blain Southern. Own photograph. 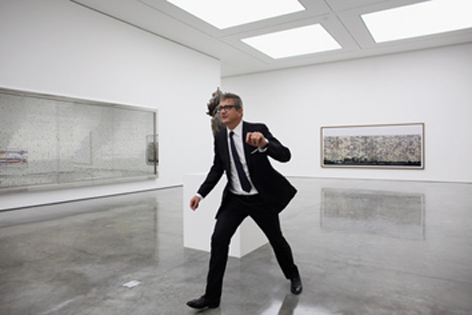 The clock was ticking and it was time to head over to the new White Cube at Bermondsey. Now, as any Blackberry user will know, and as I mentioned before, we’re not having much luck at the moment – unadulterated hell in fact – which meant I was without the internet or my trusty google maps app. Following advice of ‘the boys’, we headed to Southwark station – not the closest tube as it turns out. So much for me being geographically challenged. 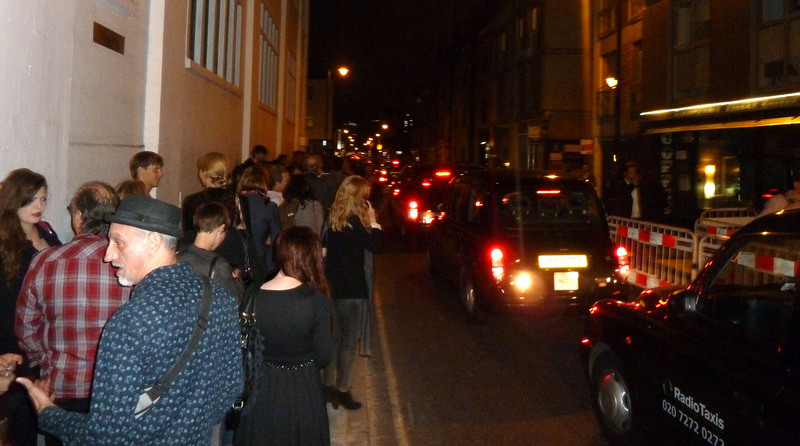 A short cab ride (no helpful man this time though) took us to the end of a very long queue down Bermondsey Street. No! This couldn’t be right. Sadly, it was. As our stilettoed feet began to throb, we queued and moaned. Security guards came down the line telling us to give up, I tried to phone friends who may already have been inside but to no avail. We waited! And, our waiting paid off. It felt like we deserved a prize where we finally made it into the forecourt where a thronging mass of people lunged towards the crowd prevention barriers that surrounded the gallery. I’m not joking. White Cube has taken hype to a whole new level, as they do so expertly. Jay Jopling ‘walking’ around the new gallery. Image via www.metro.co.uk. At one point a security guard, atop an office chair, somewhat ironically yelled out, ‘This is not Titanic. There will be a way in. Stop shoving’. But, of course, people didn’t. Being small and in sharp shoes had its advantages though and, before too long, we were waiting our turn at the front of the mob. When at last we got in, I felt slightly underwhelmed. 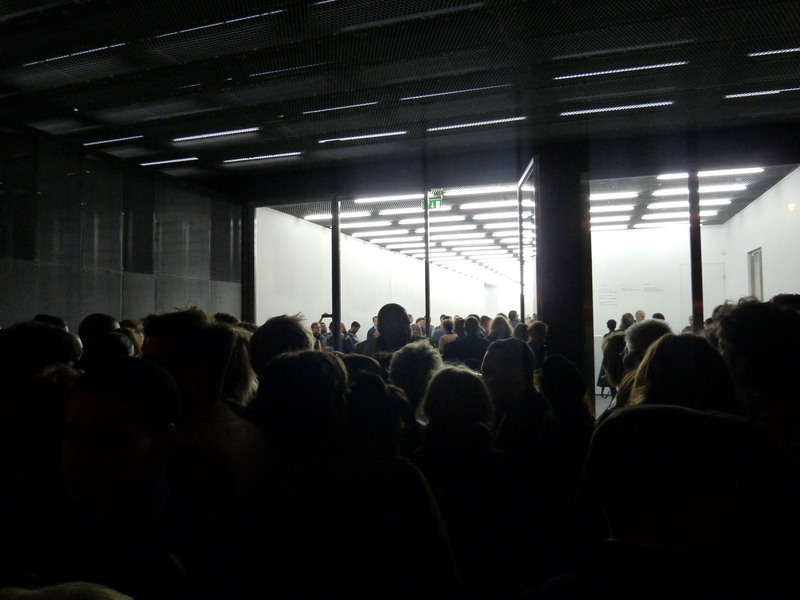 At 58,000 square feet, this White Cube is the largest commercial gallery in Europe and the space is obviously gorgeous – beautifully lit white boxes much like their other two spaces but on a mammoth scale – though after so much hassle and fuss I had expected more of an opening spectacle. There seemed to be more private spaces than open gallery rooms so it is hard to gauge the enormity of the gallery. With 2,000 people supposedly inside, and who knows how many in the courtyard, this was the place to be. But, aside from serving mini hot dogs (possibly to appease those stuck outside), it wasn’t that different from any other White Cube PV. Outside the new White Cube. Own photograph. While many galleries are struggling in the current financial climate, White Cube has defiantly shown that these problems do not affect them or the upper echelons of the art world. The new gallery is extensive and goes on and on with doors everywhere. 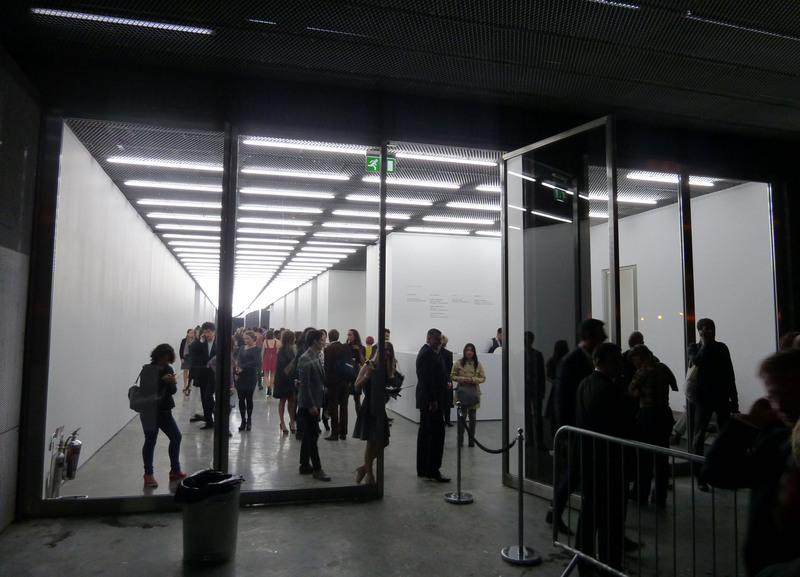 So endless, in fact, that we, along with many others, mistakenly wandered straight into the loos – the entrance looks like just another gallery. Ooops! The Bermondsey space is stunning with wonderful floors of polished concrete, or something very akin to it. It is, of course, a triumph. White Cube on Bermondsey Street. Own photograph. I’m not going to talk much about their opening exhibition which gets lost among everyone clammering to explore the space, although a smattering of their famous names are included – Gary Hume, Gabriel Orozco, Damien Hirst, Andreas Gursky and so on. It’s a great show, with a monochrome chic feel running through. It’s very impressive – the third hub in their never-ending expansion programme. Where will White Cube turn up next?! 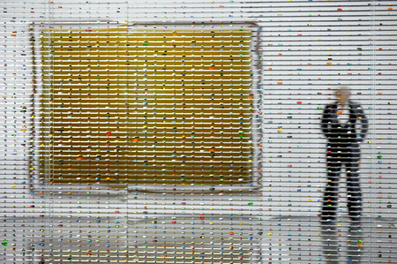 Andreas Gursky, Dusselstrand, 1996, is reflected in Damien Hirst’s Neverland, 2002. Image via www.metro.co.uk. Hobbling out of White Cube and changing, at last, into ballerinas, we stumbled on The Hide where we were able to rest our weary limbs and sink into their comfy sofas with big glasses of wine and dinner. What a day! 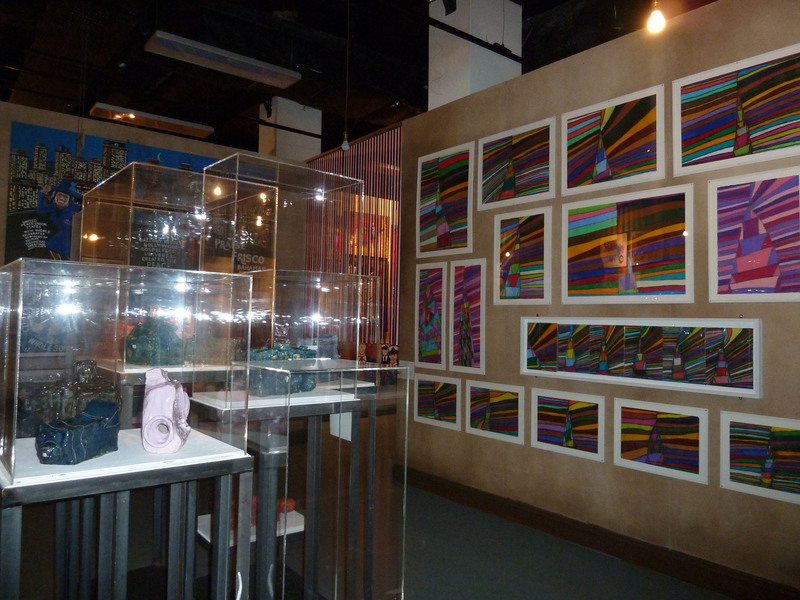 The Museum of Everything #4 is at Selfridges until 25th October 2011, www.musevery.com or www.selfridges.com. 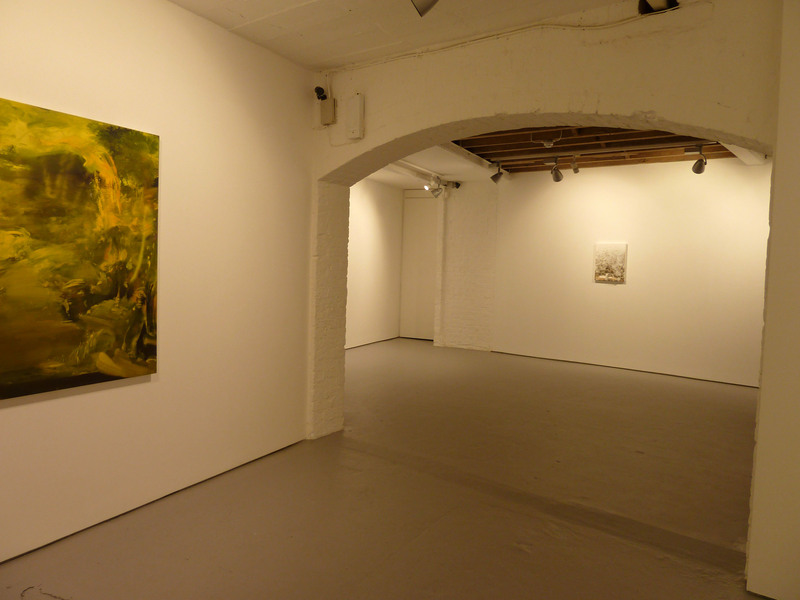 Alex Hoda: Hostage is at 20 Projects until 23rd October 2011, www.20projects.co.uk. Incredulous Zealots: 4 Painterly Interrogations from LA is at the Josh Lilley Gallery until 19th November 2011, www.joshlilleygallery.com. 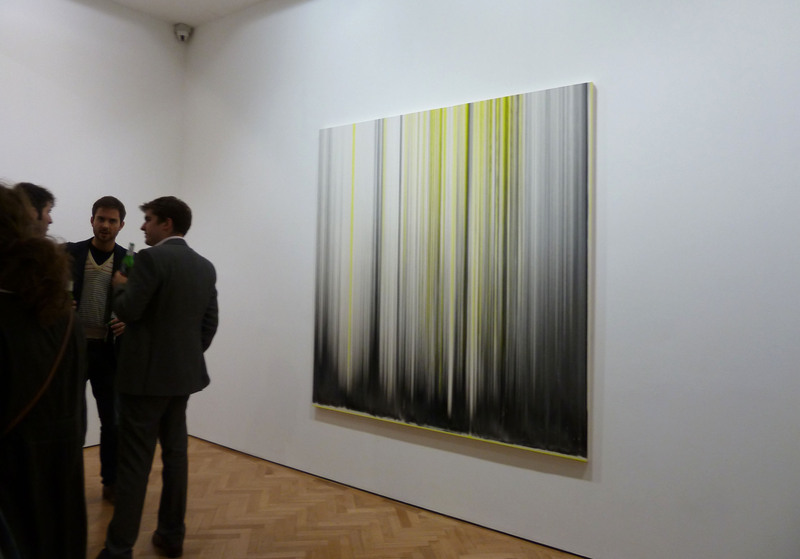 Rachel Howard: Folie à Deux is at Blain Southern until 22nd December 2011, www.blainsouthern.com. Structure & Absence is at White Cube Bermondsey until 26th November 2011, www.whitecube.com.